The volunteers of Kato Tithorea at the front lines!! As announced recently, by changing direction, Bike Odyssey 2019 will end up in Kato Tithorea. Along with the final stage of the 9-days race, the 4-days South Open race and the 4-days U.C.I. South race, a 1-day race will also take place, for those athletes who want to experience Bike Odyssey even for a single day. 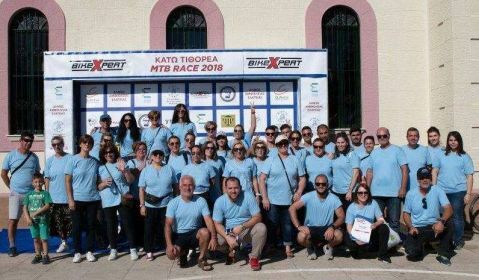 In addition to all of the above, according to the latest developments a very large number of volunteers is expected to be present for the races that will be held with start and finish the town of Kato Tithorea. The residents of the last station of Bike Odyssey 2019 are committed to not just support the race, but to turn the last day of the event into a truly spectacular celebration, appropriate to the last day of a 9-days cycling adventure, a modern cycling Odyssey. With these news, along with the fact that four races will be held at the same time, coinciding with the final awards ceremony and the end of the event, the final day of the race at Kato Tithorea is expected with great interest and promises action, adventure and emotions in a highly festive environment.